C.F Row has now sold out! Dealcorp has achieved another milestone at C.F Row having recently sold the final remaining townhouses. The elegantly crafted multi-residential building features 43 apartments and 7 townhouses, with an internal brick laneway creating a communal amenity for residents. “We’re delighted to have reached another milestone at C.F Row and complete its retail phase,” said Dealcorp Executive Chairman, David Kobritz. The stunning collection of contemporary residences completed construction in late 2017, and have since become a landmark project nominated for various design awards. 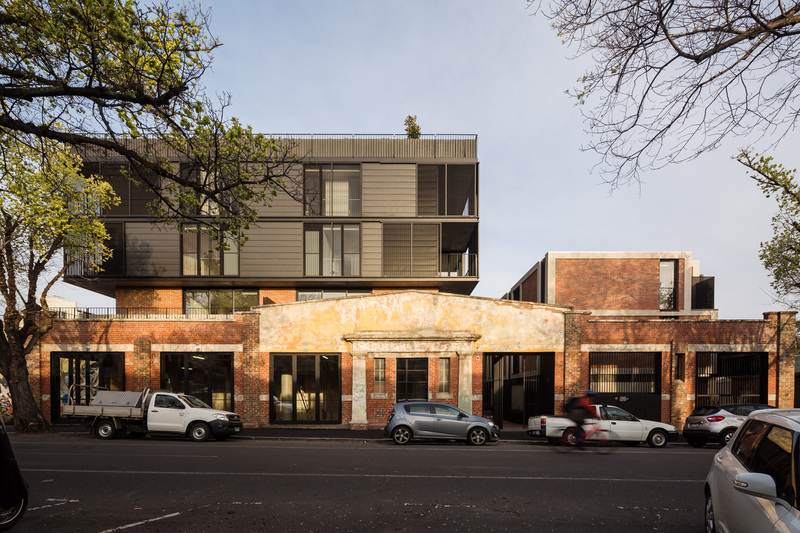 Designed by the award winning, Woods Bagot Architects, C.F Row pays homage to the sites unique heritage and the working-class history reflected throughout its surrounds. C.F Row recently received the award for Multiple Housing, Residential Architecture in the prestigious Victorian Architecture Awards hosted by the Australian Institute of Architects- Another milestone for the projects growing list of accolades!